The HERE TODAY project ends tomorrow. I had not really thought about how my project ends…until now. The Observer has been in the window of Room 30 since Tuesday. 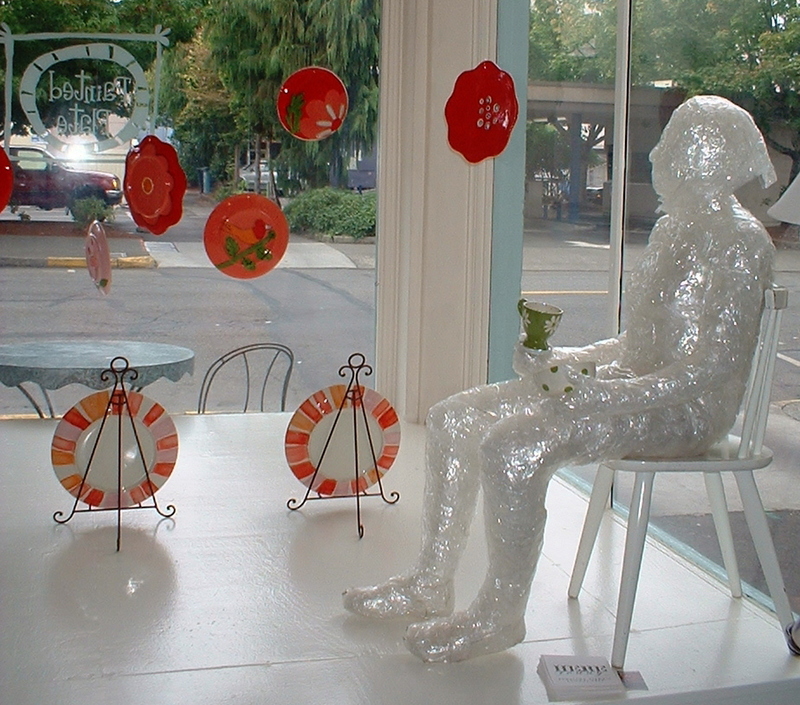 On Wednesday the Dreamer (sans the blobby thing that she was holding in her hand when she was at the Farmers’ Market Garden), showed up two doors down in the window of the Painted Plate, which is part of the Capitol Theatre Building. 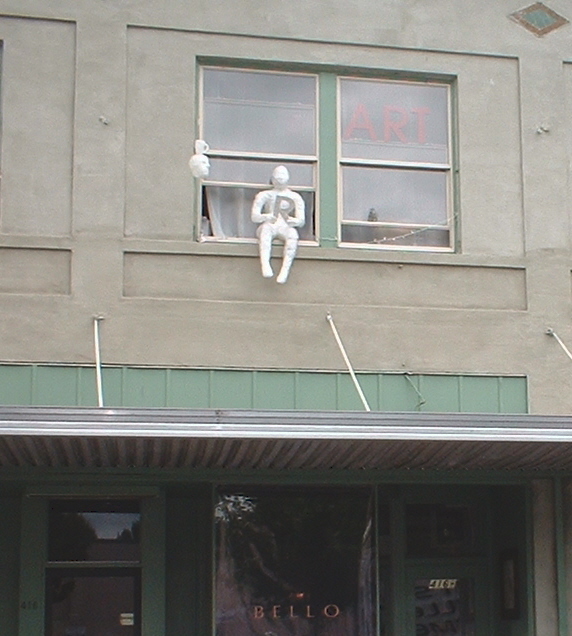 Today the Actor appeared sitting on the window ledge of Castoff Art Studio, which is on the second floor of the Capitol Theatre Building (above the Painted Plate). Tomorrow the Explorer will sit on the cafe chairs on Washington Street, in front of Doria’s and/or The Painted Plate. The idea is that for one moment all of the figures will be in close proximity of each other: they will all be on Washington Street SE between 4th AV and 5th AV. And then? And then they will return from whence they came, which is my art studio. Some of them will be heading north on Saturday for a photo shoot at the Seattle Re-Store, where I am working on the 5th Annual Recycled Art Show (October 14 – November 14). More information about that project soon!